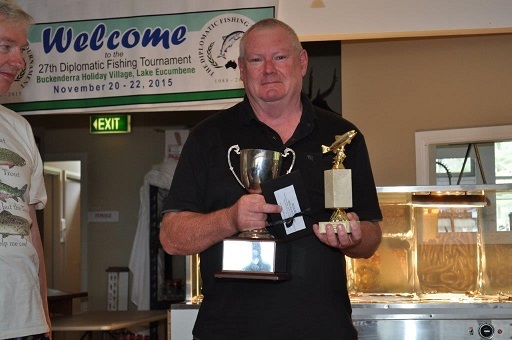 The 27th annual Diplomatic Fishing Tournament took place during the weekend 20-22 November 2015 with the participants enjoying some lovely spring weather at Buckenderra Holiday Village on Lake Eucumbene. Fourteen diplomatic missions, including the Department of Foreign Affairs and Trade (DFAT), took part in this keenly contested tournament and social weekend, with nearly 120 staff, family members and friends participating. 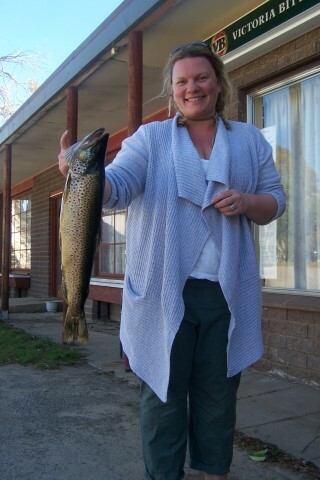 Overall fishing was reasonable for the mountain lakes, with some nice fish being caught. 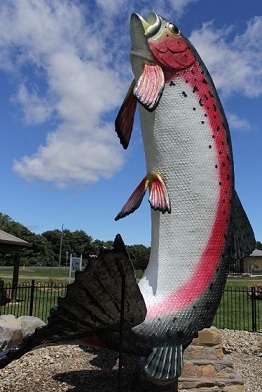 Eighty three fish were weighed in with an average weight of 765g (since only the heaviest fish caught counts, not all fish were weighed in with more fish caught and released). 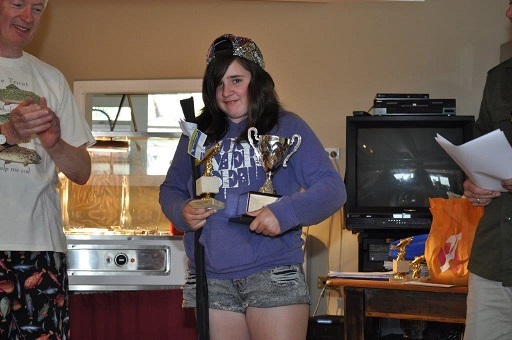 Trolling was by far the most successful method with 62 fish caught. 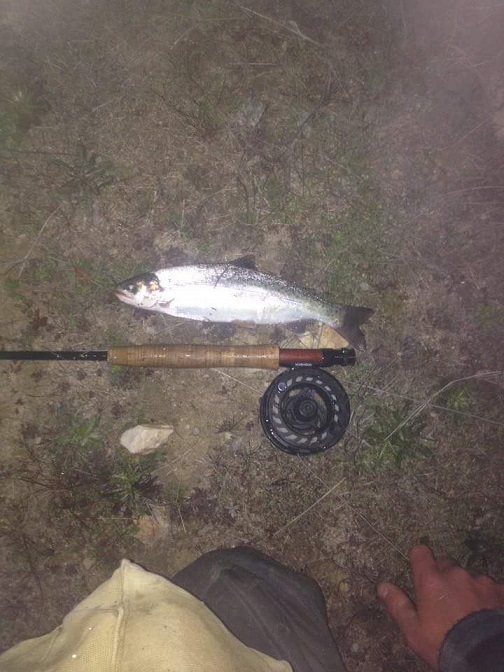 Fourteen were caught bait fishing and seven on fly. 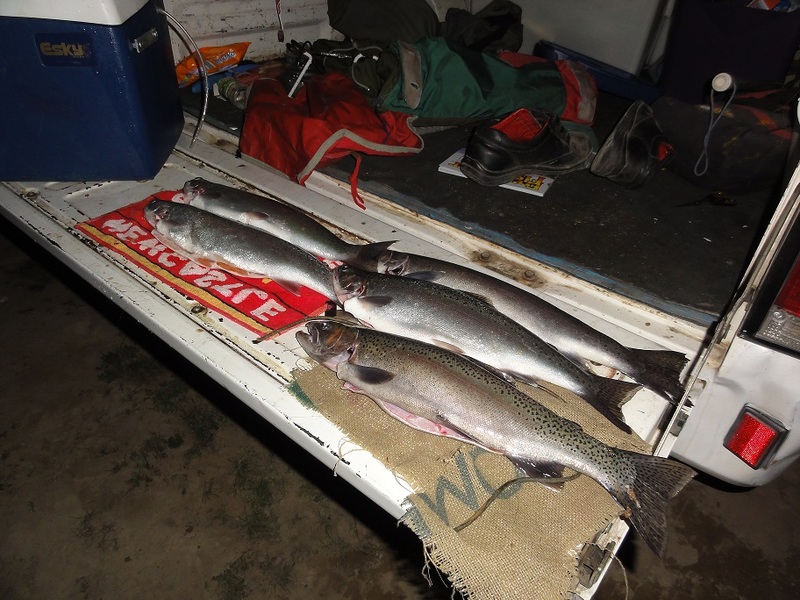 Forty three of the fish caught were good brown trout (average weight of 940g) and 40 were rainbows (average weight 576g). 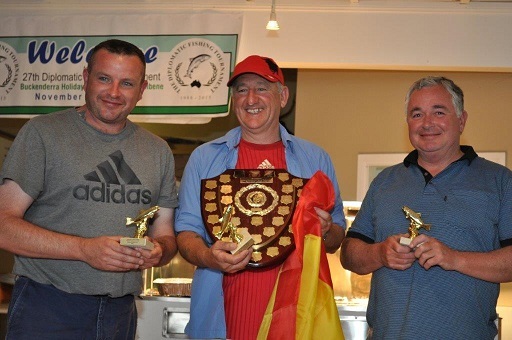 The Embassy of Spain won the sought after team event for the first time, with the heaviest three fish weighing in total 4.4kg. The Spanish team consisted of Francisco Herrero, John Holroyd and Russell Armstrong. The Embassy of the Islamic Republic of Iran came second, with DFAT in third place. 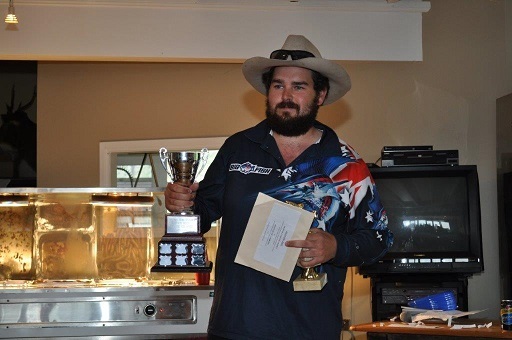 Chris Hilton, fishing for the Embassy of the Islamic Republic of Iran, was the individual Grand Champion with a brown trout of almost 2kg caught trolling. 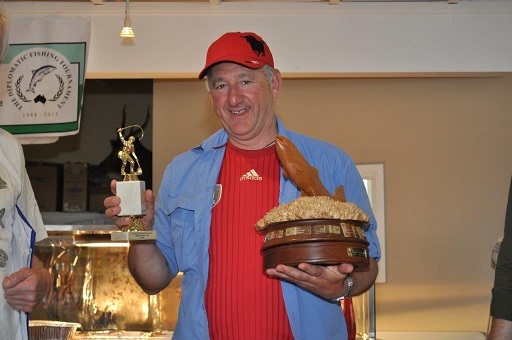 The adults division was taken out by DFAT's Brian Keenan with a 1.6kg fish and the juniors division (under 15 years old) was won by Reanon Armstrong fishing for the Embassy of Spain with a 1.5kg trout. 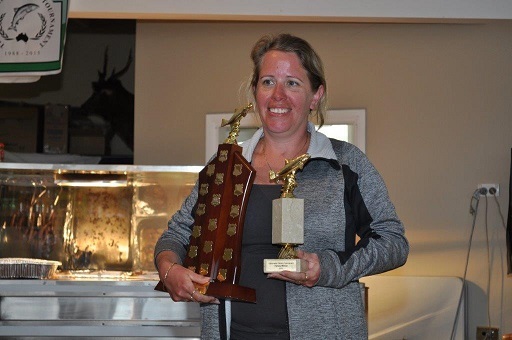 Michelle Francis, fishing for the Department of Foreign Affairs and Trade won the female’s trophy and Francisco Herrero from Embassy of Spain won the fly fishing trophy. 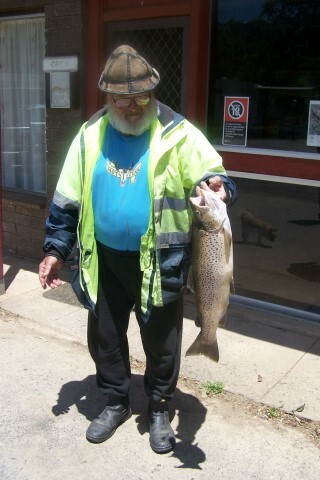 Hey mick got a couple of small rainbows at buckenderra on a small brown woolly bugger, thanks tory. Peter from Braemar here with a report from the past week, well the conditions were tough for a few days with very strong winds and warm temperatures, very few people ventured out while the wind blew its guts out but once things settled down a bit the fishing was quite good. Once again big Browns dominated catches with mudeyes being the standout bait accounting for several nice fish, trolling held its own on most morning but generally afternoons were a bit of a wipe out, # 4 the Clown and # 16 Mardi Gras proved to be the most successful but overall it seems the brighter lures worked best over the few days you could fish. The Pegron Minnows also provided some fish cast along the bank in somewhat murky water, it just proves the Browns will have a look even when the water is discoloured. The Fly fishing still remains vey inconsistent here, very few hatches are taking place right now which is a bit of a puzzle, however some nice Rainbows were caught using Zulu and Caddis, Stick Caddis accounted for several beautiful Rainbows in the 800 gms range for the boys from the Mornington Peninsula who unfortunately only had 3 sessions out on the Lake due to the very windy conditions. 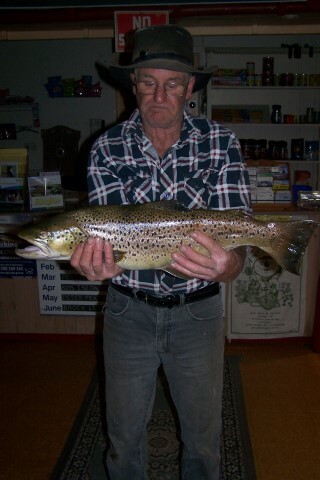 Best fish of the week went to Peter Zaboloski with a 3235 gms Brown caught on Chunky Cheese. Pictured below is Peter Zaboloski with his 3235 gms Brown along with Debbie Arnold who once again managed a 2022 gms Brown and Phil Harvey with his 2997 gms Brown.